Much of southern Ontario, including Toronto, is under a special weather statement with a storm expected to hit the area later this week. Environment Canada issued the statement on Monday morning, warning that a "major storm system" is expected to hit southern Ontario Wednesday and Thursday. 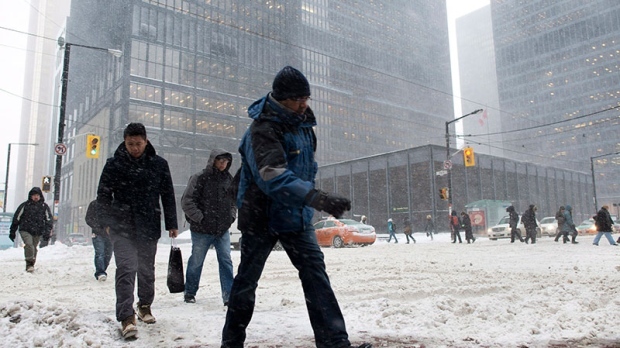 The weather agency said a low pressure system developing over the southern U.S. is expected to head north, reaching southern Ontario by Wednesday. "This storm is expected to bring rain and significant snow to some areas, along with the possibility of freezing rain. The statement said it is too early to predict the exact path of the storm, so it is not yet known which parts of the province will be hit with the heaviest snowfall. Environment Canada said the statement will be updated "as the storm system evolves."